Last month I found myself on a fast train from Edinburgh to London. Too tired to read, I spent the whole journey gazing out the window. Recollecting that journey, one memory stands out: the number of wind farms, none of them that far from residential areas. I mentioned this to the couple seated by me, and they said that people are used to them. They realise the necessity. I have no idea if that is true, but their comment had me thinking how absurdly precious Australia can be. Also, we passed a solar farm, tucked beside the railway tracks. Obviously someone decided those panels would generate enough power, despite cloud. I know, as do many, that Australia could be 100% renewable so easily. We could be running all our vehicles off grid too. Wouldn’t that be amazing?! 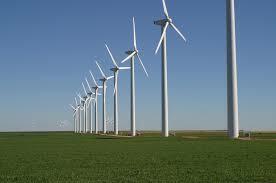 So I ask myself, why is this country so embarrassingly backward when it comes to alternative energy? Is it because a small group of mining magnates have our politicians by the short and curlies? If so, then that is corruption, plain and simple. Maybe we need a People’s Commission. Challenge these power-crazed dullards and their minions with their fracking and their blasting and their dredging. Drag them over their own hot coals. A People’s Commission, now wouldn’t that be novel? But I doubt the citizenry of Australia is all that motivated. Too many are out to lunch on their sun loungers? Well, on the up side, if you want a real estate bargain, buy a house in Toora, South Gippsland, a town situated near a wind farm. Good news is prices in Toora are low, they are right down there with properties in towns in decline due to the endless dry. As any anthropologist will tell you, the old ways of indigenous cultures the world over are always tramped on in the name of progress. Some are decimated, wiped from the earth like unwanted crumbs. Others allowed to exist on the fringes, tolerated, ignored and oppressed all at once. Then there are smaller cultures absorbed into a larger dominant culture, seeping into language and custom. And then there are those wiped away by the dishrag of colonisation, only to be resurrected as curiosities for the edification of tourism. 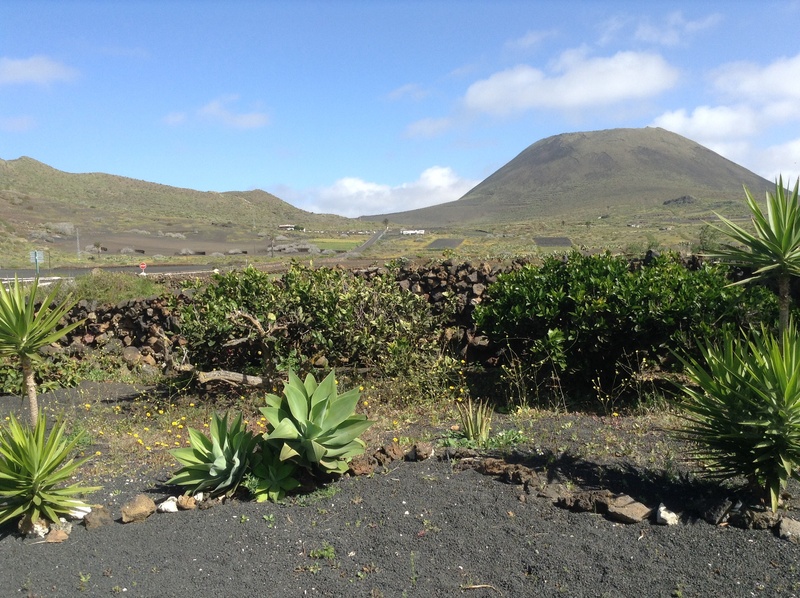 Here on Lanzarote, the indigenous people, the Conojeros, blended with their colonisers, through marriage, through birth. A new sort of traditional way of life, Catholicised, yet still seated in the old ways, endured for centuries. It was a culture of survival and resilience in brutal conditions. Here, dry land farming and ingenious water capture techniques kept a small population of about a few thousand from starvation. Swathes of the lower slopes of volcanoes were smeared with concrete (alcogidas), funnelling water into underground water tanks (aljibes); large fresh water ponds (maretas) were built along with wells and dams; in the 1920s, tunnels were gouged into the cliff of El Risco to access the water in the water galleries of the Famara massif; roofs of dwellings and patios built high, were designed to channel water into farmhouse aljibes – the people went to ingenious lengths to capture what little rain there was. Up until the 1960s and beyond, farmers terraced the mountainsides right to the top to capture any water should it rain, creating moist micro-environments along the stone wall edge. The terraces also took advantage of the moisture provided by morning mist. The Conojeros were a people accustomed to breathtaking views, at ease in the wind, strong enough at times to knock you over. The people built their farmhouses strategically, the north facing wall windowless, rooms inside facing an interior courtyard. Farmers lived alongside their animals. They grew what they could, hardy plants able to tolerate high amounts of wind. 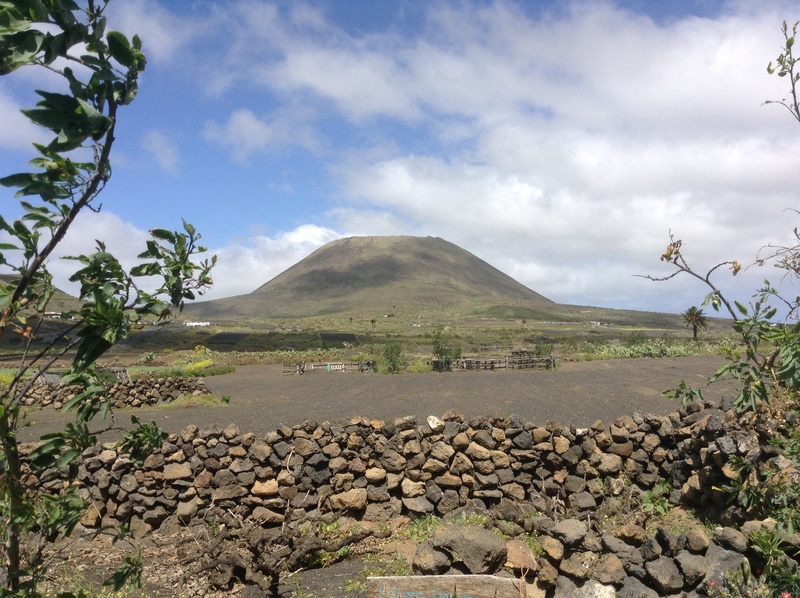 For a long time only two villages existed, Teguise and Haria, the other villages were more like localities where a few farmhouses, spread well apart, took advantage of a valley, a mountainside, a plain. 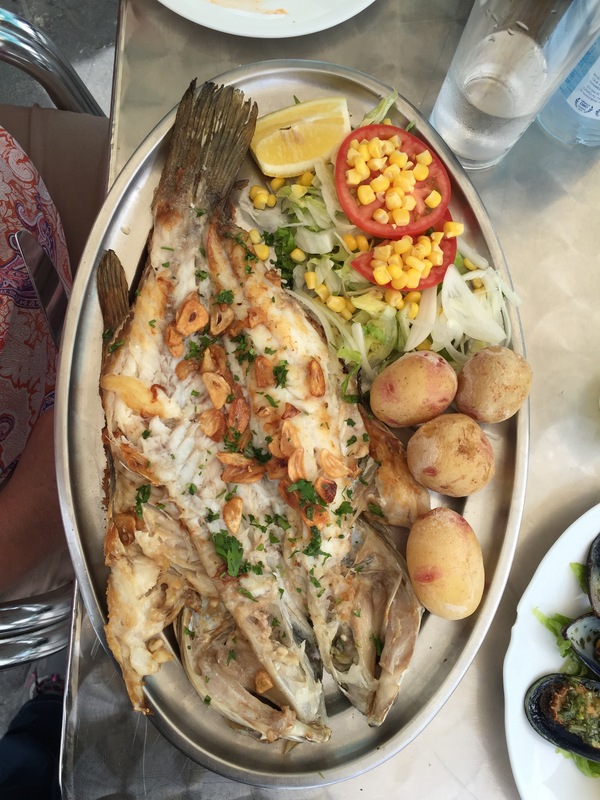 Fish were plentiful and a small fishing industry grew up around Arrecife. Some farmers grew prickly pear for cochineal. Salt works providing another source of income for a sparse economy. 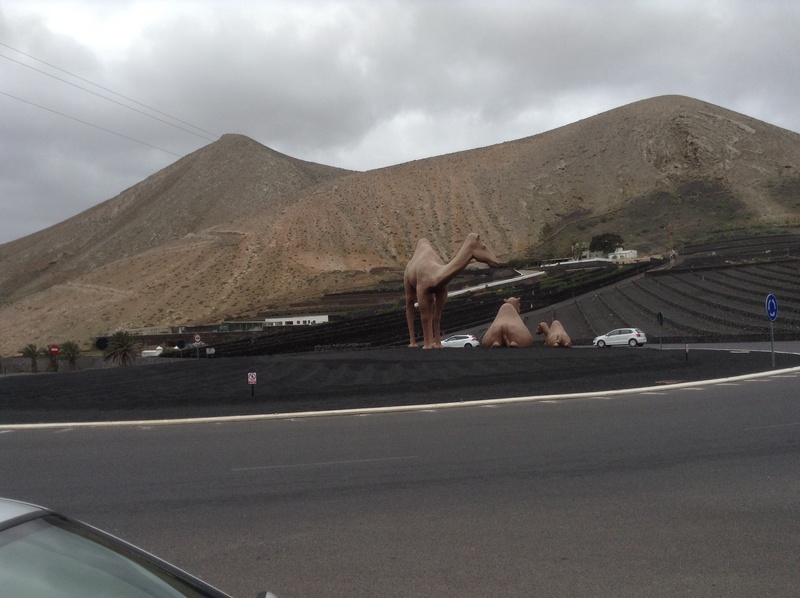 Camel sculptures on a roundabout in Yaiza. Now, the tourists can see the old ways, as displayed in museums courtesy of CACT (the local government’s Centre for Arts, Culture and Tourism). 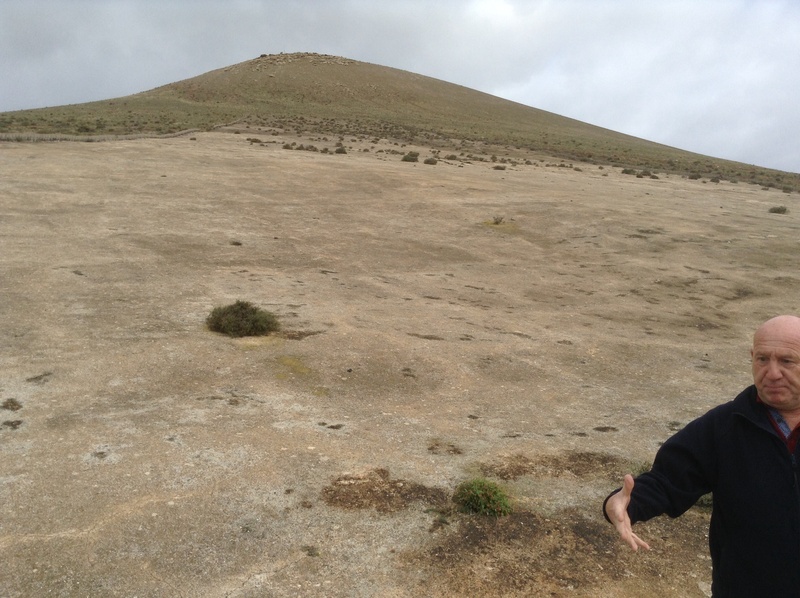 Or they can visit the alcogidas, now in disrepair, or poke their heads down an abandoned aljibe, or well – the water below polluted by effluent and no longer safe to drink, or check out the dam at Mala, the wall now cracked and leaking, or puzzle over the site of the grand mareta at Teguise, and witness the erosion of the mountainsides where the terraces are crumbling away. The government knows it has a problem. Residents are entitled to have 10,000 square metres of land to farm as they wish, with access to cheap water from the desal plants – but the young are not that interested. You can still see the old farmers at work. Up in the north there are many small farms run by the old people. Little fields of black planted up with neat rows of maize, and not a weed in sight. A farmer harvesting potatoes by hand, his wheelbarrow nearby. They still farm right to the mountaintops and the cliff edge. It’s a privilege to behold. 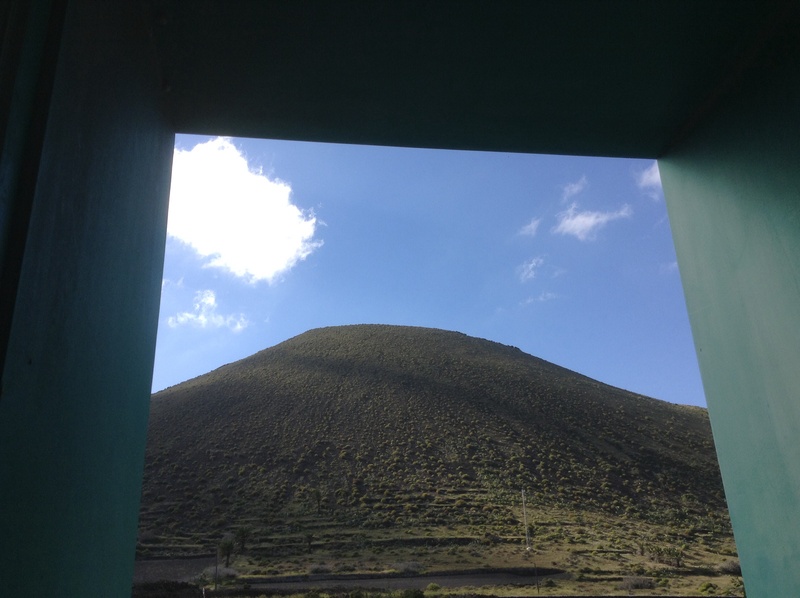 The mother volcano, La Corona, as seen from our garden. I am glad I decided to write a sequel to The Drago Tree. I want to be taken deeper into the story of this island. And the sequel will necessitate my return. 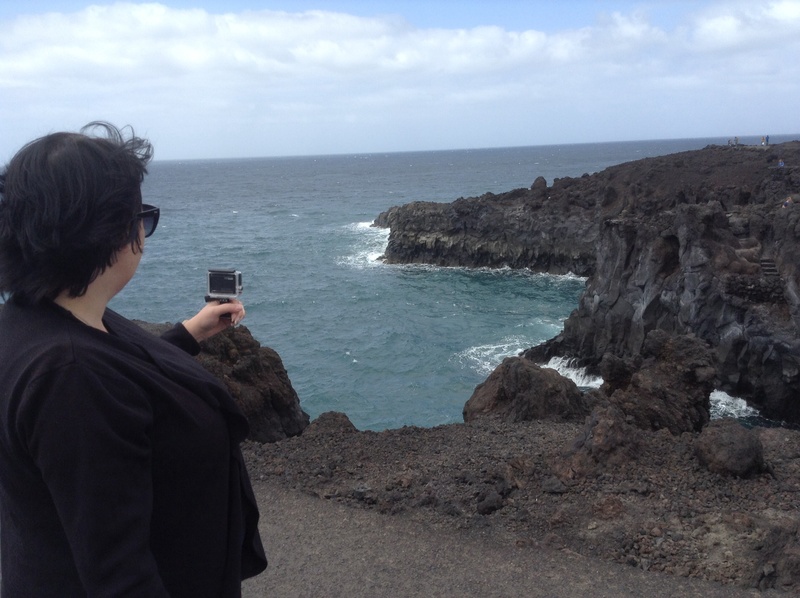 For now, as our time here draws to a close, I feel just as Ann felt at the end of her holiday, still in awe of my surroundings, wanting to celebrate the traditions and mourn their passing, at odds with the very tourist industry that has allowed my easy passage to Lanzarote’s shores. What can be said about driving down a narrow road carved through a lava plain, a road that goes on and on and on? The basalt that covers the land in every direction, thick, crusty, alive with lichen. 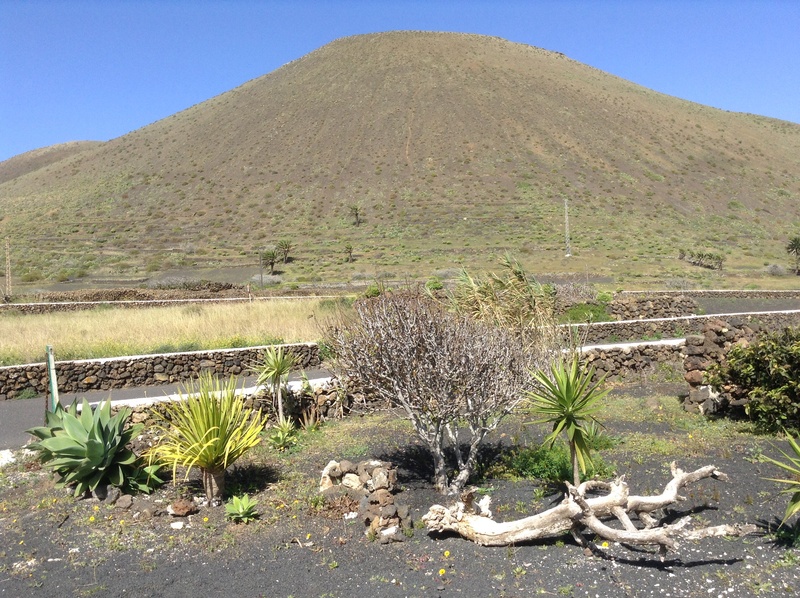 Volcanoes or calderas 500 metres high and about 1 or 2 kilometres in diameter, rising up like cone-shaped boils, some black, others brown or red. 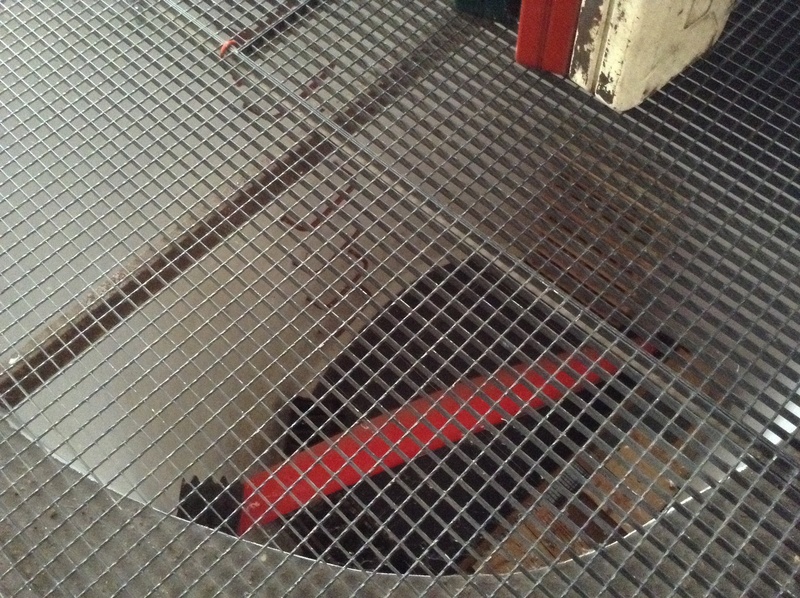 Then there are those calderas burst open, serrated at the rim, splayed where their lava spilled to scour the land. 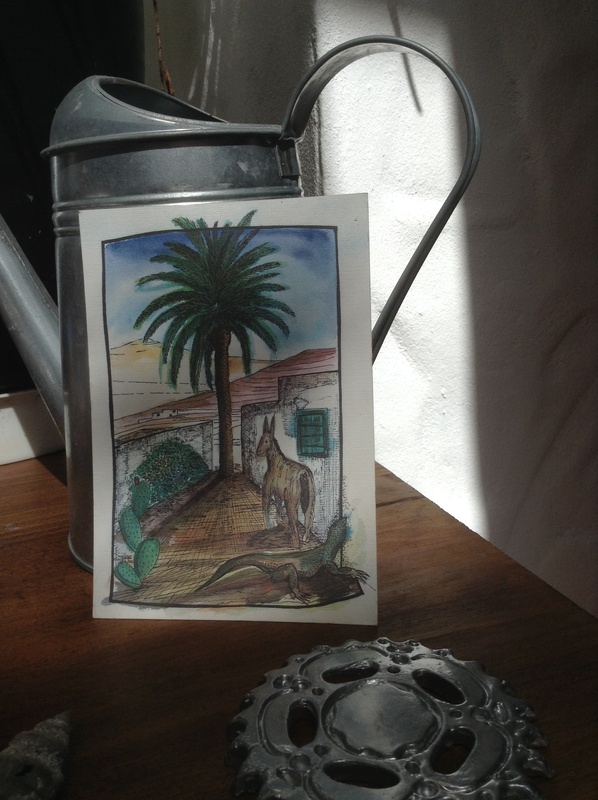 Everywhere you look on the island, there they are, some ancient, some young, the roads on Lanzarote coursing paths between. The eruptions of Timanfaya that took place in the mid 1700s and lasted for 6 years, have resulted in a landscape not of this world. A spreading mass of impenetrable rock, about 15 kilometres wide and long. These volcanoes emerged in fissures in the land, once a wide plain perfect for grazing. Fissures bleeding rock, cleaving open as the pressure of the volcanoes beneath forced their way above ground. This is what I have read and imagine, a primordial groaning, perhaps deafening, definitely terrifying, apocalyptic. Livestock asphyxiated, fish boiled alive, the ocean steaming, the island showered with volcanic ash and smoke. You have to know all this, to appreciate the place as it is now. But it is still impossible to take in. The speed limit of 50 kmh is too fast. We crawled along, fascinated, not wanting to reach the end of the road. We went to where the lava met the ocean. The road snaking along, embedded in the lava, right beside the water’s edge. 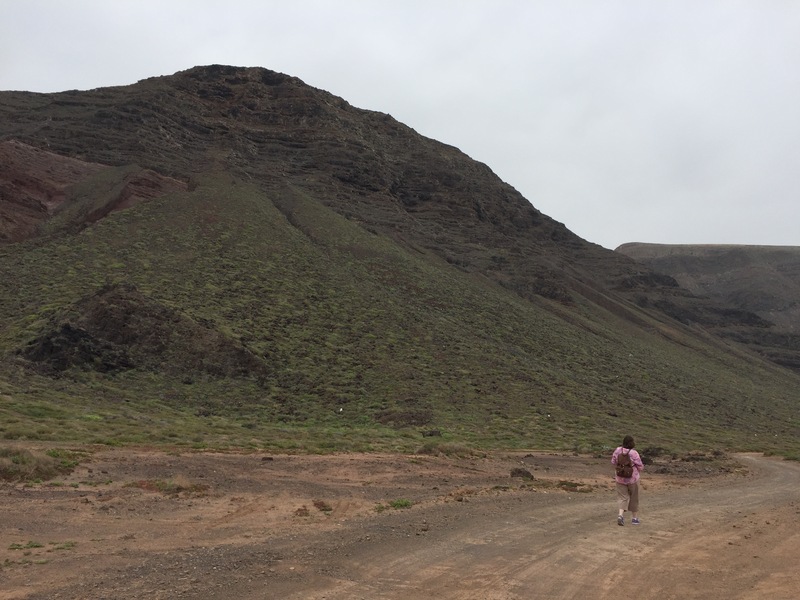 We parked at Los Hervidores, a site of extraordinary beauty, where narrow basalt paths have been created to allow tourists to get close and see that meeting of rock and water. The basalt is many metres thick, chunky, descending in a vertical cliff. The ocean swells and surges, blue on black, sending forth its spume. 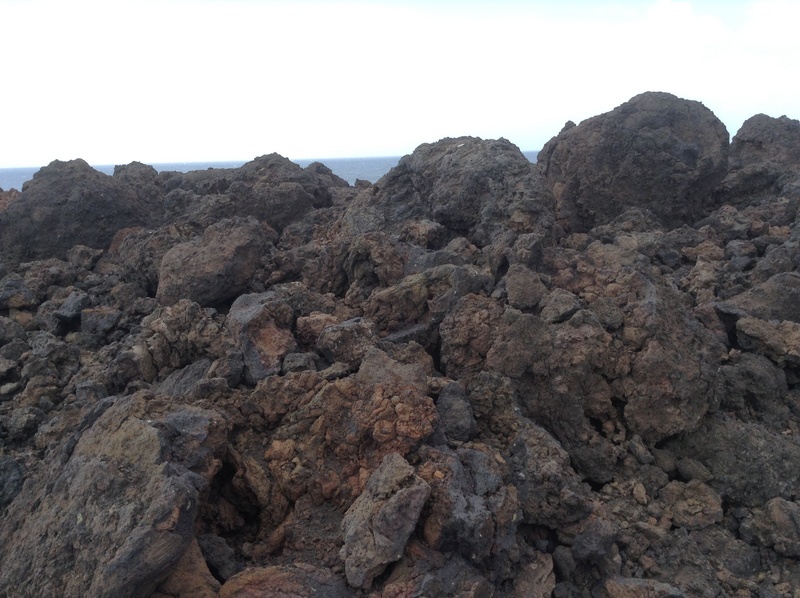 There are holes in the lava, like wells, places to get soaked when the ocean is angry. No one speaks. The wind, that other element, blows and blows. You either get used to it, or you leave Lanzarote behind for another clime. I love this meeting of the elements, all of them present, in the wind, the ocean, the rock born of fire. 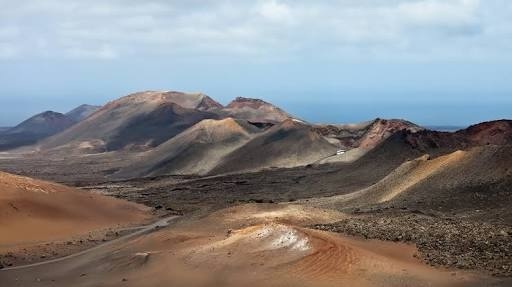 Lanzarote is a powerful place, unspoiled, a place to be revered. And as Ann found in The Drago Tree, every tourist slips into reverence in the face of such a setting. 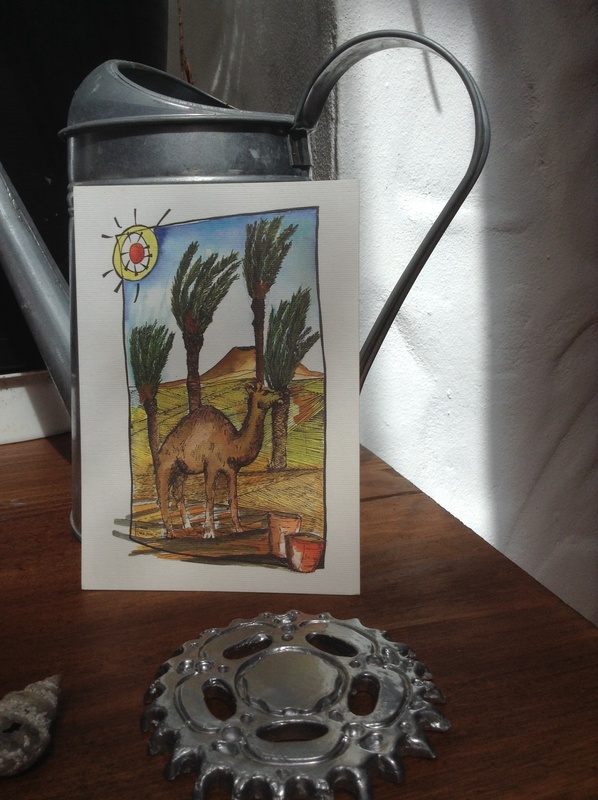 Day 6 and my awe and delight at having returned are replaced by an acute awareness. Here are some of my observations. 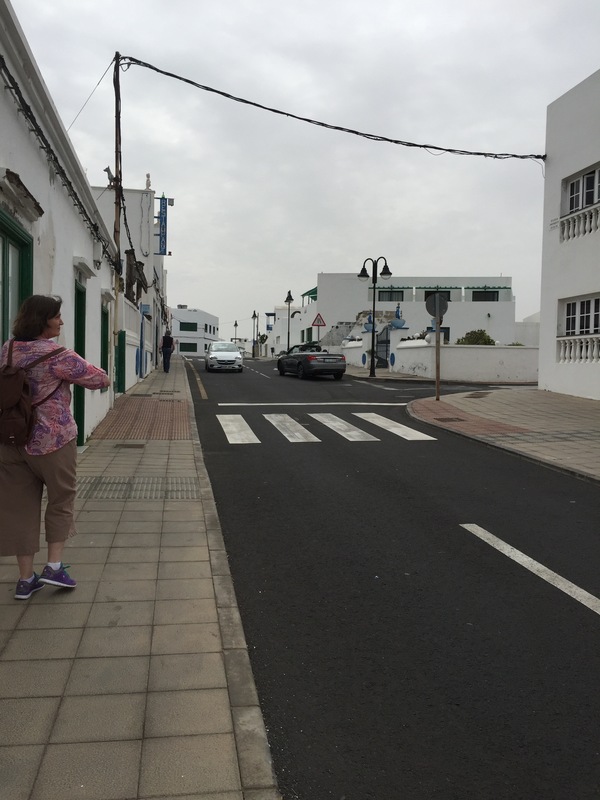 Lanzarote is an island of contrasts. The everyday lives of the locals, with their tight knit family networks, their lives lived behind closed doors, and the tourists. Like almost all tourist destinations where the industry has planted itself in amongst a local culture and boomed, the people and their traditions, their culture, seems squeezed aside. At times tourism manifests like a sycamore in a foreign land, a eucalypt in Africa, a cane toad, a feral cat. Tourism, in essence temporary migration, fostered and serviced by a corporate edifice with no conscience. I wonder, do the locals here hide? I would hide. I would be pleased the windows of my house faced an interior courtyard and not the street outside. For the island feels overrun. Only in the backstreets of the remotest villages, or the suburbs of the larger towns, can the people escape the invasion. The roads are busy, and anywhere remote is frequented by the more adventurous tourist, especially the cyclist. It’s an impossible situation, on a small island formerly poor with a struggling economy, a backwater passed over in favour of it’s more stately sisters. Now the economy is dominated by tourism, and, just like Ann observed in The Drago Tree, there is no going back to the old days. 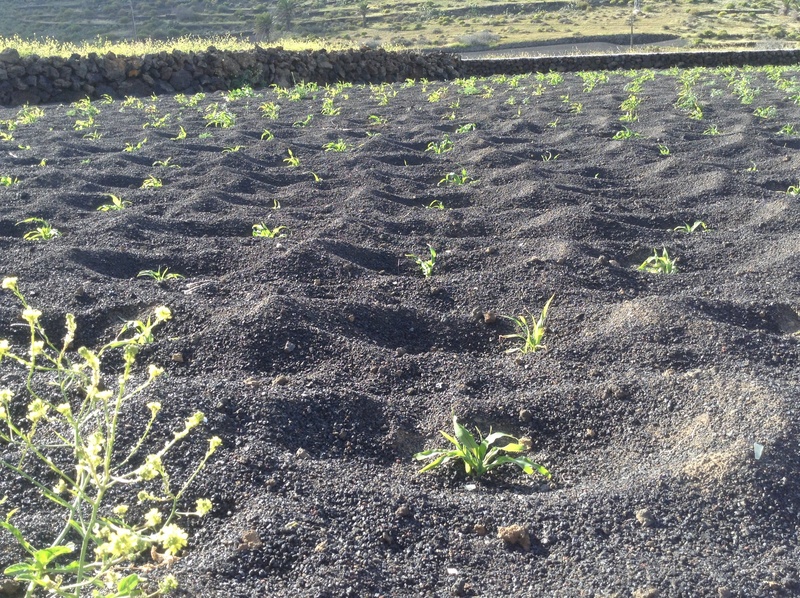 Thankfully on Lanzarote much care has been taken to preserve the island’s natural beauty spots. The malpais (lava) making it difficult to develop large areas, especially in the north. 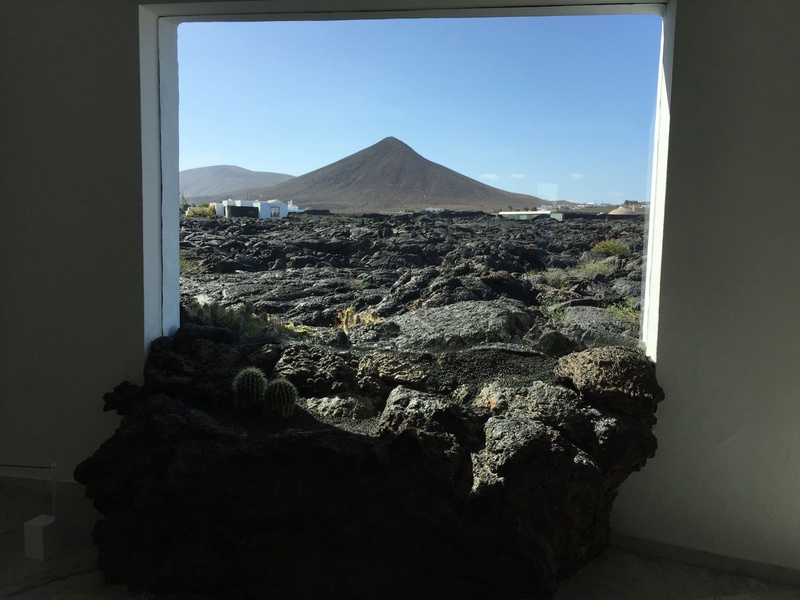 And the artist, architect and ecologist Cesar Manrique set an example of how to cater to tourists without ruining the environment, one followed by many, those respecting the island’s status as a biosphere reserve. 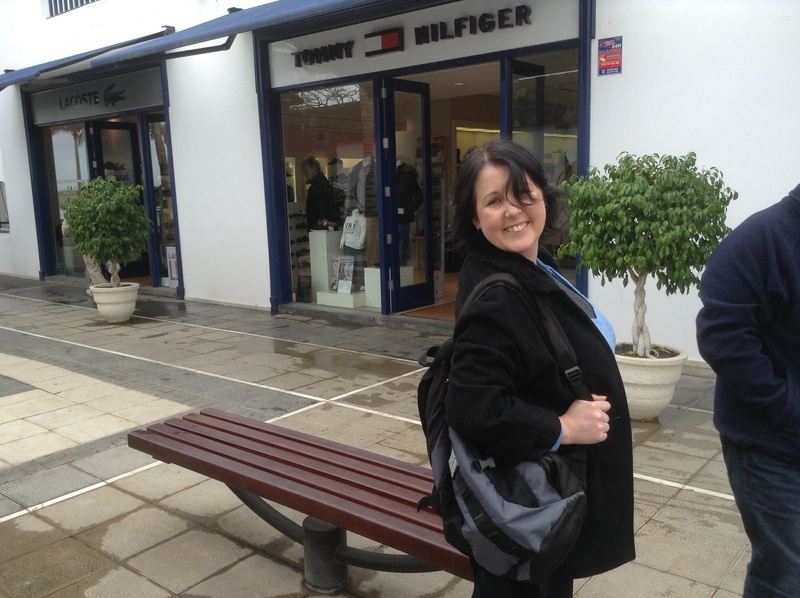 Michelle and I have spent the last few days witnessing the tourist-local dynamic. On remote, winding lanes, we’ve been almost side swiped by cyclists riding two or three abreast. We’ve walked the gritty paths in the island’s hidden corners, only to find others passing us, heading off and up and round and every which way. We’ve hung out in a bar in the main drag of one of the island’s quieter tourist strips, and spoken with a group of English expats, all of them warm and friendly. They are aspiring writers, and I was giving a talk. 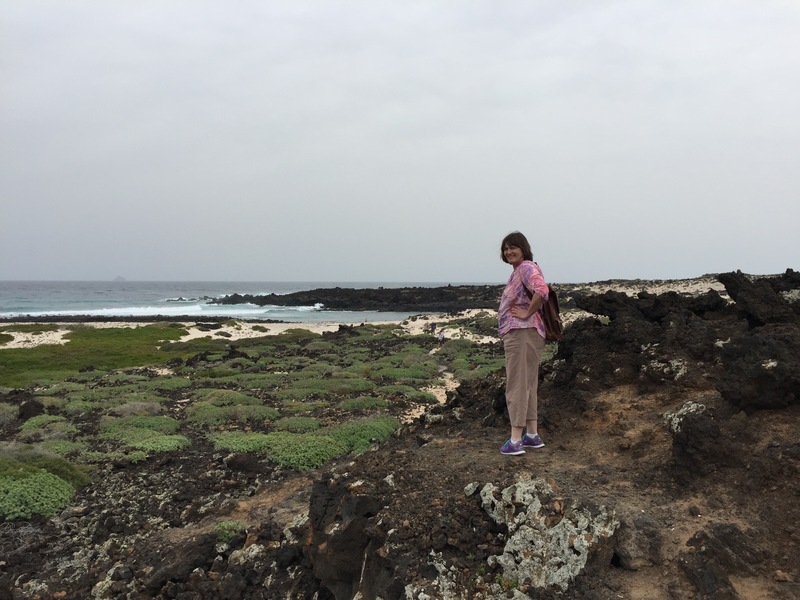 I was one of them, in my heart the same desire to live on Lanzarote. I can’t criticise their wish. 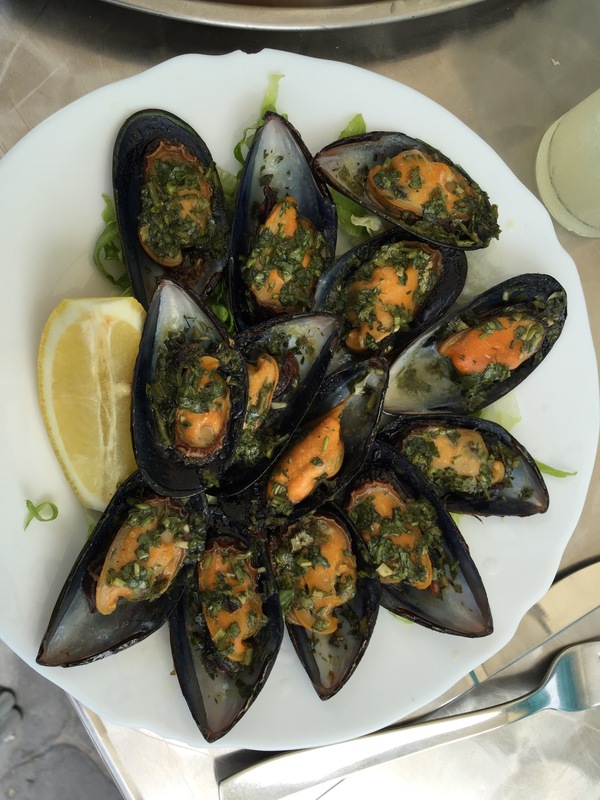 We’ve hung out in restaurants in the north frequented by locals and a few tourists, and we’ve enjoyed the exceptional service, the generosity. 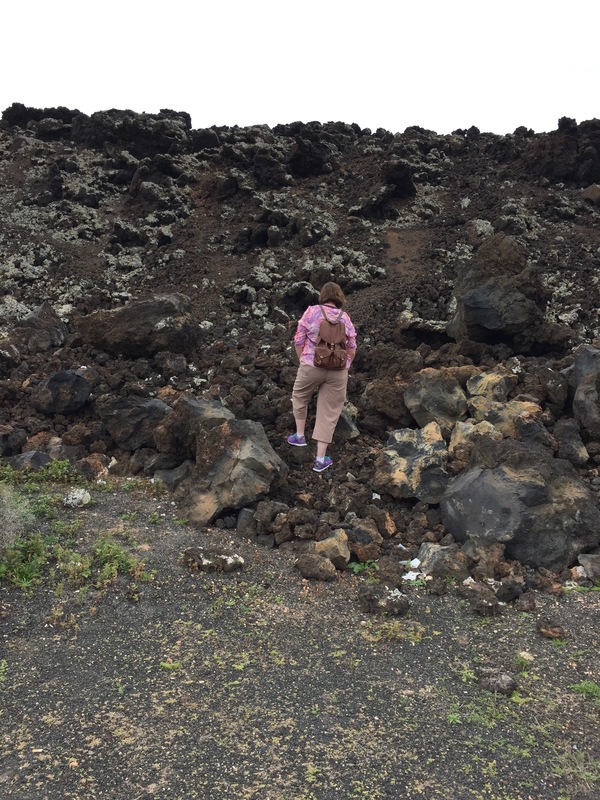 We’ve walked through Manrique’s extraordinary house in Tahiche, created in a lava tube accessed by several small jameos (holes in the lava). 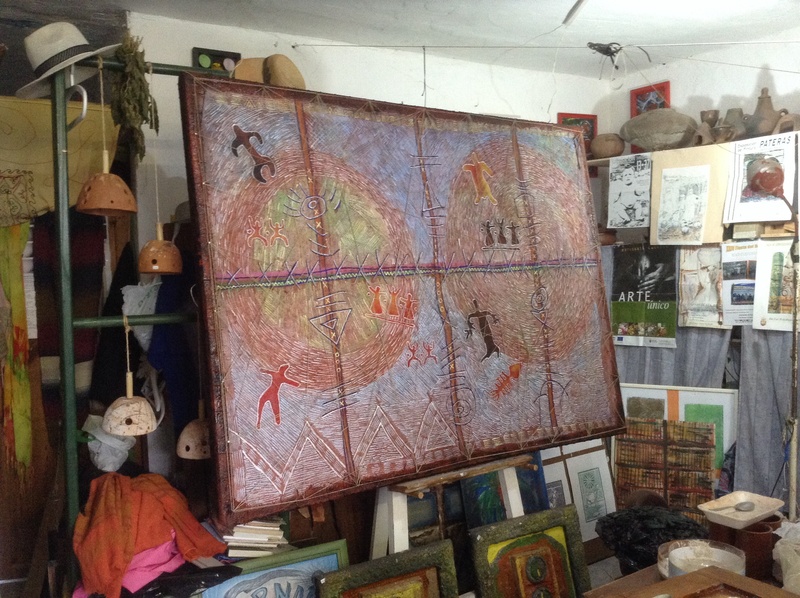 An artist inspired by Gaudi and Picasso, his creative impulse evident in every corner. We’ve been to the artesan market in Haria, and wandered around the backstreets, passing couples also wandering around. I was showing Michelle where I used to live. And we were on the hunt for an old friend, Domingo. We found him in his house on the edge of the village. 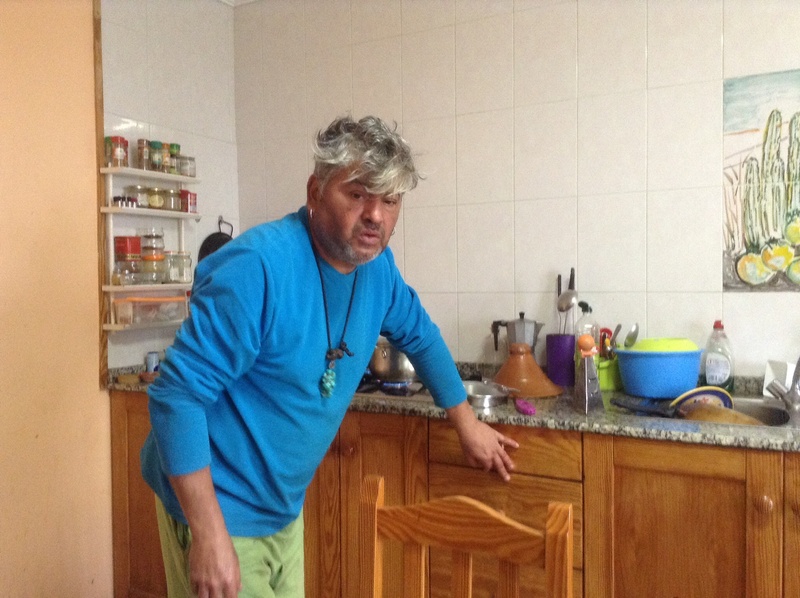 I hadn’t seen him for twenty-six years but he’s the same. And our affinity for each other’s company was just as I recalled. For the first time since we arrived, I was forced to speak only Spanish. We were talking about the past, about our lives, about the future. How I could live here again. With a good internet connection I most certainly could. And then, what would I be? An expat, an English-born Australian author championing the values, the hopes, the dreams of others. A stranger. No. I’ll have to leave the characters I created in The Drago Tree to live that life on my behalf.